Before I answer this question, it will be helpful to define what exactly "superstition" is. Catholics have a very clear understanding of this word, and we are strongly exhorted to avoid anything that would fall under it. It's time to answer some more questions, submitted via the Formspring in my left sidebar. 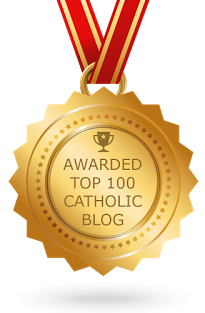 Do you have a question about Catholicism? Fire away, and I will try my best to answer it here. See the "Formspring" label for previous posts in this series. Do you know where I can find Aquinas' commentary on Matthew (not the Catena) online? Unfortunately, I do not. I have collected here all of the Aquinas commentary I have been able to find so far. If someone manages to find his commentary on Matthew's gospel, please let me know! What is the teaching of the Ephesus Council? The Council of Ephesus is known for three things: it defined the true personal unity of Christ, it declared Mary the Mother of God or "God-bearer" (theotokos) against Nestorius, and it renewed the condemnation of Pelagius. You can read more about what took place at the council here. The resolutions, definitions, and relevant documents of the council are also available here. Where can I get a more information about the beautiful Immaculate Heart of Mary shown on your 6/12/10 posting? Is there a Sacred Heart of Jesus by the same artist? I found that picture of Mary's Immaculate Heart by doing a Google image search, so I don't know very much about the image or who painted it. Sorry! If a Catholic were to receive penance and died as they walked out of the confessional, would they go straight to heaven? What is the difference between temporal punishment and other types of punishment? That person would go to heaven, but "right away" we cannot say. He may have to go to Purgatory first, if he has not adequately atoned for the temporal punishment that is due to his sin. This leads to your second question. If one has not healed all the wounds that his sin has caused, then this remains as a sort of blot on his soul when he stands before the Lord to receive His Judgment. God purges that blot away, refining souls through the fiery furnace of His love, which we experience as Purgatory. How would someone start the process for canonization for a deceased person? After the person in question has been deceased for at least 5 years, then a request can be made to the person's bishop to begin an investigation of the person's life to discern if the person is a worthy candidate for canonization. Hello, I was told that Aquinas wrote some commentary on the "new earth" spoken of in John's Apocalypse. Do you know where I might find this commentary? I'm afraid I do not know where such a commentary could be found, at least online. You are welcome to peruse his works in English which are available online. There is not available as of yet any commentary of his on the Book of Revelation, but perhaps his words on the "new creation" were part of a work on some other book of the Bible or subject. I'm sorry I can't help you more! Thank you all for your questions! Keep them coming!